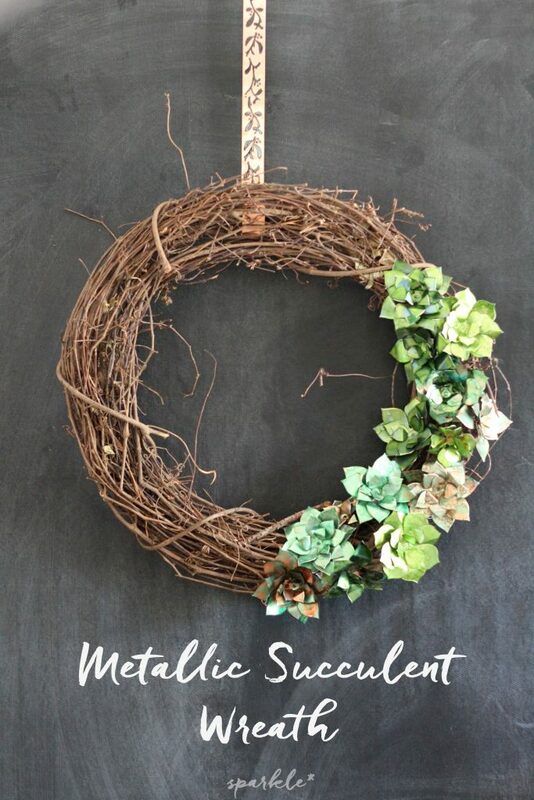 Make this metallic succulent wreath using craft metal or upcycled soda cans. Shiny and gorgeous this wreath can be displayed year round. Hi all! I know it’s the first day of fall, but it’s still running in the high 90’s here in the desert. Ugh. When is my fall going to start? Since the cool, crisp autumn hasn’t graced us with its presence yet, I decided to forgo usual Sparkly Autumn Leaf Wreath, and put up something a little different on the front door. 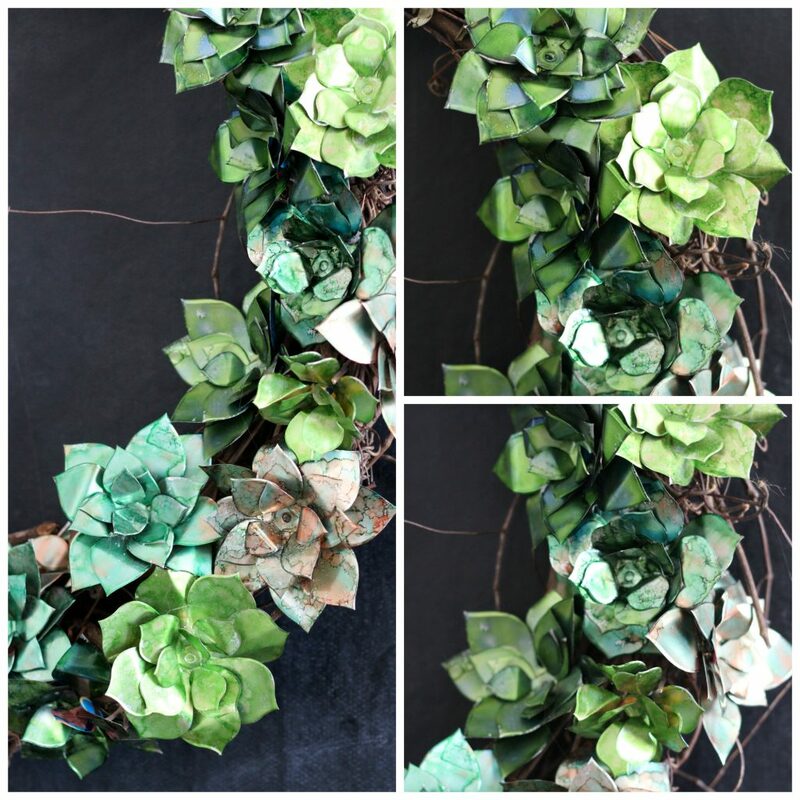 Succulents are definitely great plants for anytime of year and this metallic succulent wreath will work in the spring, but it’s perfect for early fall too. The cool thing about succulents is the great colors they come in. I wanted to show off the greens, blue-greens and red-greens of the succulents on a grapevine wreath. These succulents are made out of aluminum so they really shine. 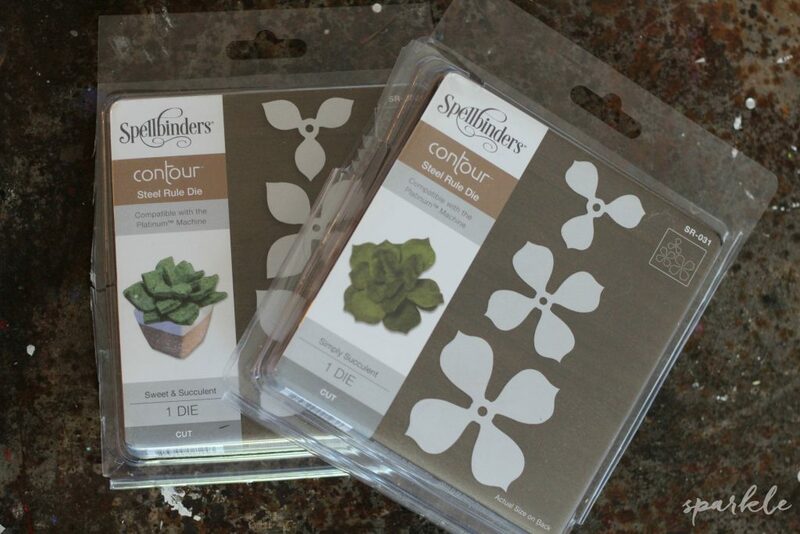 Spellbinders was gracious enough to provide me with their succulent dies, which I used in my Spellbinders Platinum Die-Cutting machine. This machine is awesome because with the steel rule dies, it can cut through craft metal, cardboard, felt and craft foam among other things. I was totally drawn in by the idea of felt crafting, but I’m loving using the metal as well. The succulents are made out of upcycled soda cans. We don’t drink much soda around here, except for the occasional Diet Coke. In order to have enough cans I started drinking La Croix pamplemousse sparkling water (which is delicious) and I bought some store brand soda to pour out and use the cans. I also found a place that sells rolls of the aluminum, which I ordered and am going to use in a Christmas project…stay tuned. 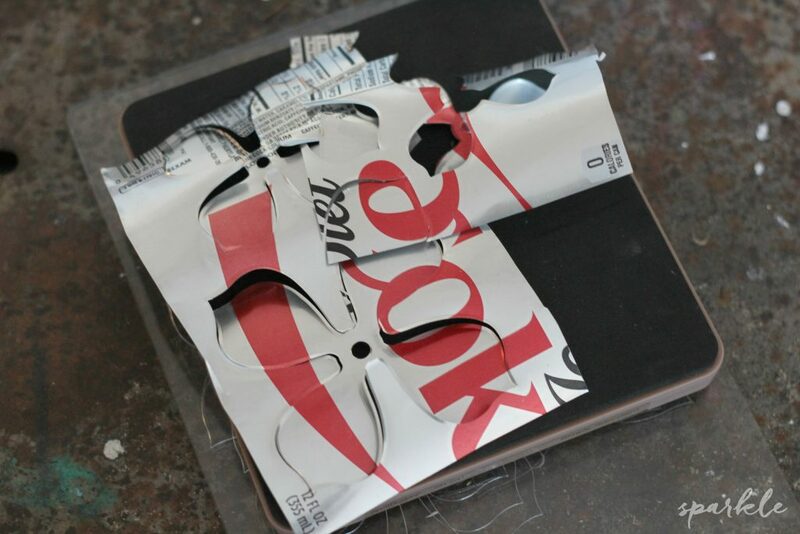 First cut out your aluminum cans to flatten them with metal snips or other heavy duty scissors. Be super careful because there will be sharp edges. 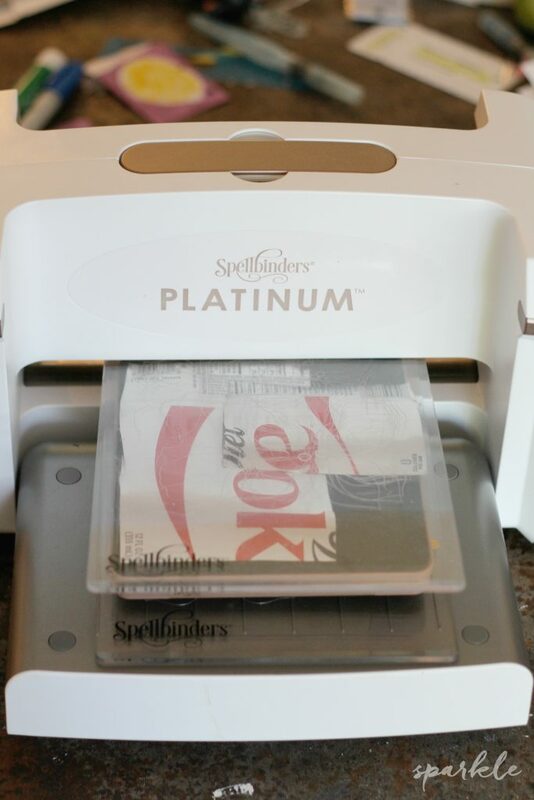 Flatten the aluminum and sandwich onto the die following the machine’s directions. It’s super easy folks! Related: Make these felt succulent gifts using the same dies! Lay out your die cuts, silver side up. And prepare your alcohol inks. I used a different mixture of greens, green with a couple drops of denim, green with a couple drops of terracotta or green with a couple drops of gold. Get creative, each succulent is different and beautiful. A few drops of the ink onto the felt pad goes a long way. Be sure your workspace is well ventilated. 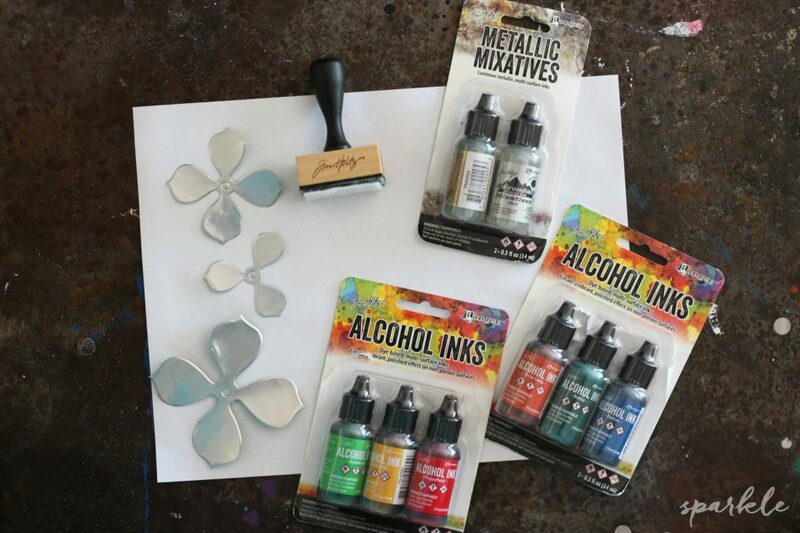 The alcohol ink has vapors and it can be overwhelming if you breathe them in. Use a fan or open a window. 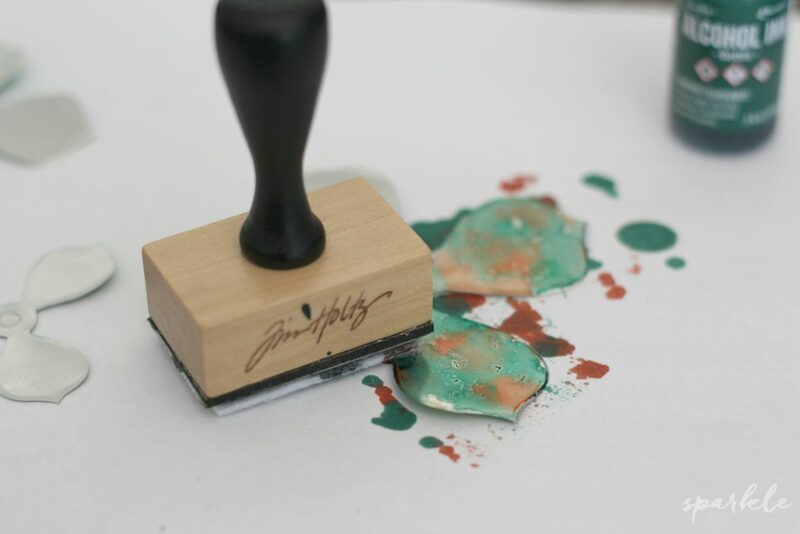 Each time you stamp onto the metal creates a different effect. Play with it! Once the painting is complete, set aside for an hour to dry. 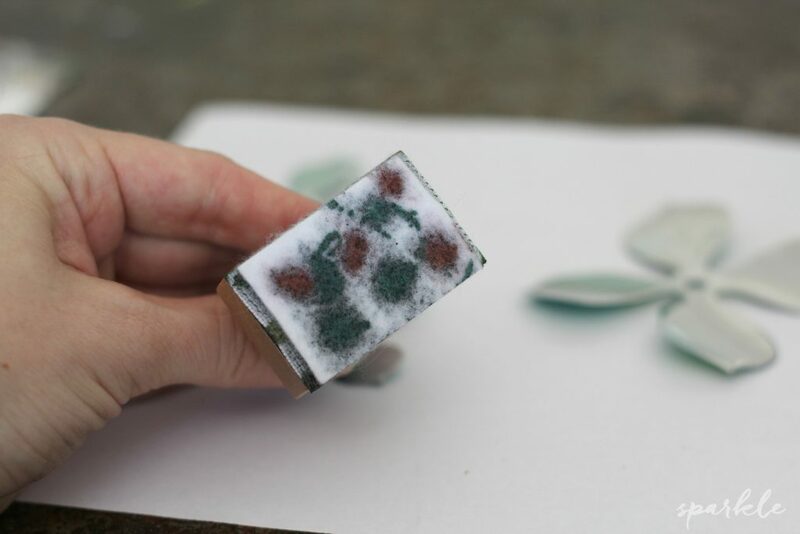 Apply a dab of glue onto the center of each layer of leaves and stack. Use a binder clip to hold the succulent together while the glue hardens and cures. I let mine sit overnight, so that the adhesive hardens properly. Once the glue is dry, remove the binder clip and fluff out your petals, being cautious of the sharp edges. To adhere the succulents to the wreath, place a dab of E6000 in the center of the bottom of the succulent. Then apply the hot glue around the E6000. The hot glue will hold the succulent in place on the wreath until the E6000 cures. The colors are gorgeous! I particularly love the blue greens. 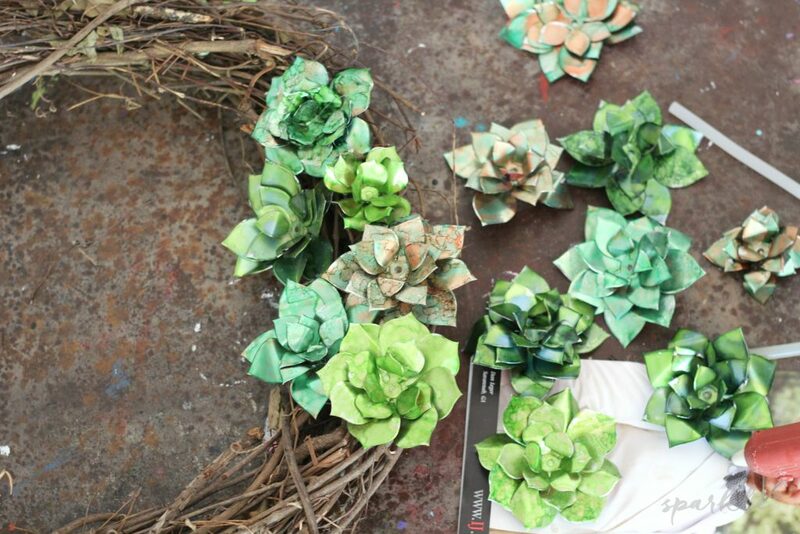 Wow, a recycled soda can and alchohol inks to make succulents, fantastic! thanks so much for sharing on craft schooling Sunday! This is SO creative!! Love it! 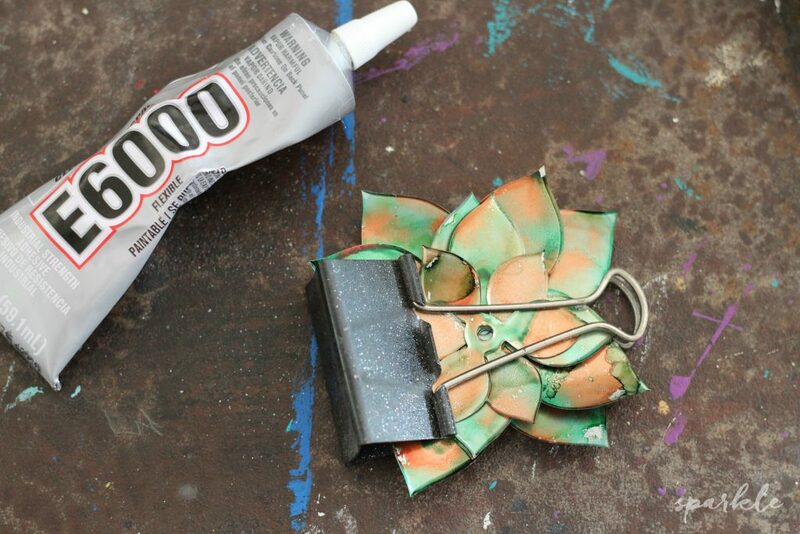 Very cool to make succulents from soda cans! Nifty tool you’re using. Looks great! Visiting from Mix It Up Monday party. 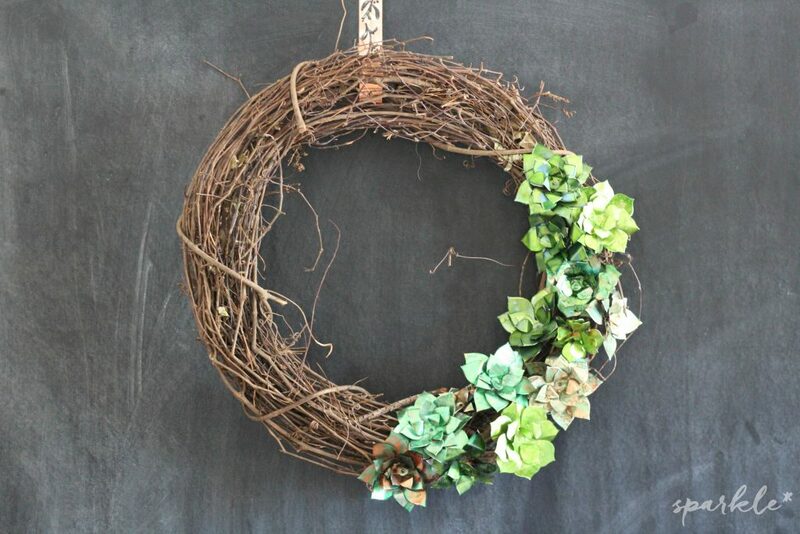 i love this wreath because it is simple yet stunning. Thanks for sharing at #overthemoon link party.